The wolf’s powerful and elusive prey can be easily spotted during the watching sessions, as they are abundant in the Sierra. The permanent uncertainty about the predator’s presence keeps them alert at all times, much in the same way we are always on the lookout for a sudden chase. – When hunting big animals, wolves inflict wounds on the back side of the body, focussing on the ventral region. This is the usual procedure to kill deer. – In the case of medium-sized animals, the wolves go about it biting the neck, tearing apart the cervical region, the trachea ad the glottis. They use this technique to kill roe deer, wild boar and rabbits. The roe deer (Capreolus capreolus) was the most numerous game hunting species in the Sierra, but the current situation of this small cervid has changed, due to the competition it has gotten from the abundant deer population. However, it is almost certain that the present density of the roe deer population in the Reserve is barely one specimen per 100 Ha. 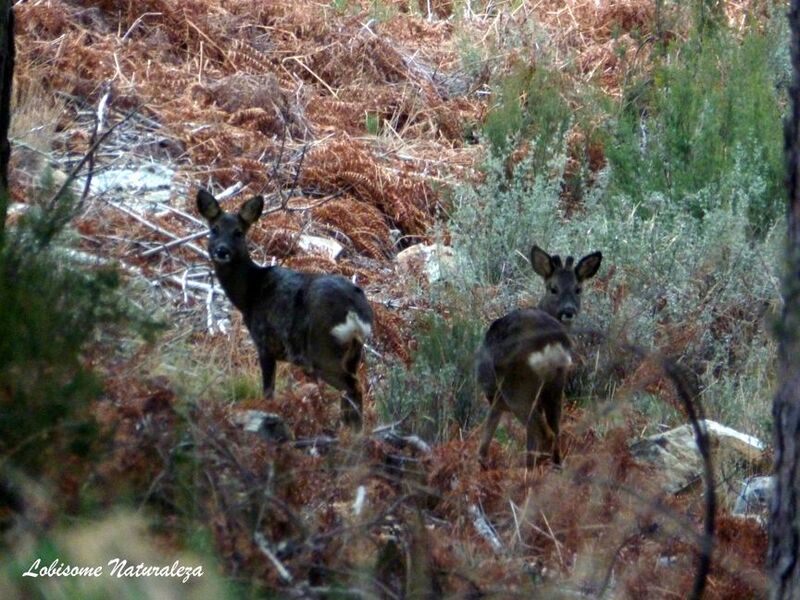 The only species present in the whole of the European continent is C. capreolus, although there is mention of an ecotype of Andalusian roe deer inhabiting the mountains of Cádiz and Málaga, typical of the Mediterranean environment. It is the smallest of the European cervids, with the males being larger than the females. The species lives in wooded areas, which offer shelter and food. Among its habitat preferences we observe the importance of the shrub-herbaceous stratum, and the botanic diversity of the environment. One of the most notable characteristics in the breeding biology of this species is that it is the only European cervid that presents an embryonic diapause (after fertilisation, which usually occurs in july, the embryo remains in a state of rest, not developing during around 170 days). After the diapause, the embryo continues its development over a period of 130 days. The hind usually gives birth to two premature fawns. The births take place in the months of May and June, while the rutting period occurs in July and August. The deer (Cervus elaphus), extinct in the province of Zamora during the first 30 years of the 20th century, was reintroduced in the Sierra de la Culebra during the 1970s, after the area was declared a Game Reserve. The trophies of deer captured in the region are among the biggest in Spain, thanks to the selective action by the wolf, and it is considered to be the best unfenced hunting ground for the species, and one of the three most important ones in the world. The population censuses performed over the past years show that, in the 67,340 hectares of space, approximately 1,000 deer live here during the rut. 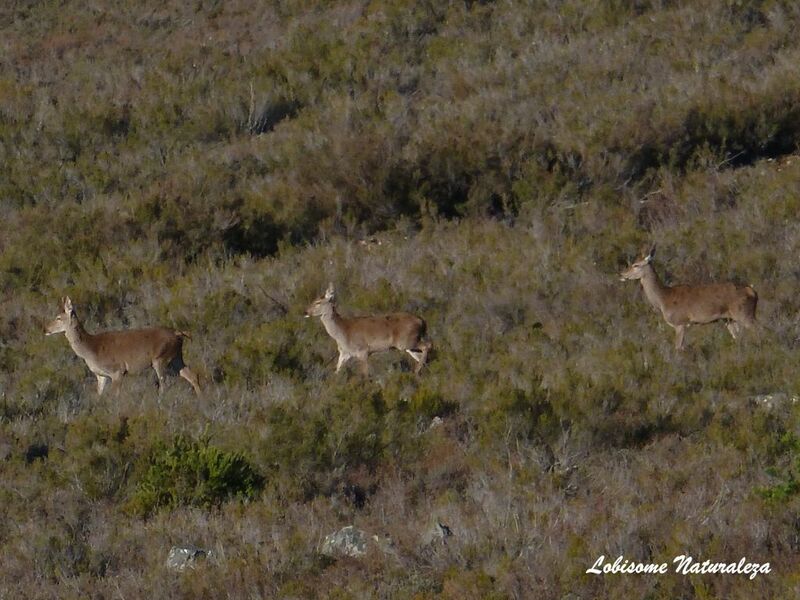 Therefore, we can establish that the local density of the species in this area is of 1.5 deer per 100 Ha. The Iberian subspecies (Cervus elaphus hispanicus) only exists in Spain and Portugal, and is well differentiated from the other twelve subspecies distributed over Eurasia and the Maghreb. It is characterised by its smaller size than the nominal subspecies, its greyer colouration, and its smaller cranium. The deer prefers areas of transition between wooded or bushy zones and open spaces with herbal plants, particularly meadowland with numerous leguminous plants, or woody species in the case of scarcity of green pastures. The deer is a polygamous ungulate, which means the males base their reproductive success on the amount of females they mate with, while the females take full care of the young. The mating season is known as the rut or rutting period, during which the bucks bellow, basically in order to chase away rival males. 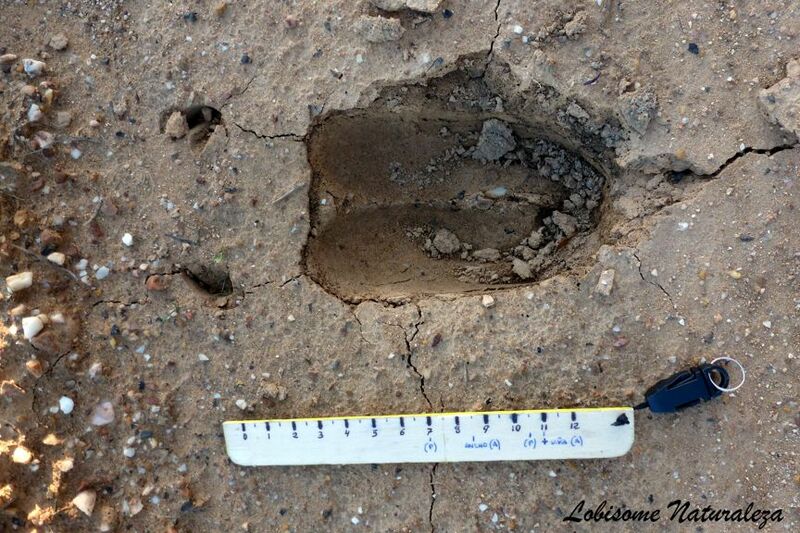 The rut lasts approximately 25 days, occurring, in la Culebra, during the month of September. The wild boar (Sus scrofa) disappeared from the Sierra over 25 years ago, but can now once again be spotted in the area quite frequently. The wild boar population in the Sierra fluctuates strongly, basically due to the variations in the availability of food, which, in certain seasons, causes an exodus towards the bordering plains where they are more likely to find food. The wild boar’s main predator in the Sierra de la Culebra is the wolf, which makes a labour of population control. In similar areas where the wolf is not present, the wild boar densities are much higher, which causes more damage to crops and pastures. The ten species that currently form the Sus genus can mainly be found in Asia, though the Eurasian wild boar, Sus scrofa, the most abundant species, has always had a wider area of distribution, which includes Europe and North Africa. In Spain there are two subspecies, S. scrofa castilianus, and S. scrofa baeticus. The biggest specimens appear in the centre and north of the Iberian Peninsula. It is a premature species (the sows get pregnant in their first or second year, when they reach a weight of around 30 kg), prolific (with an average of three to four piglets per litter), and with a short gestation (120 days). Mating season is mainly during autumn, between September and December. Wild boar are omnivorous, with a predominance of vegetables and an elevated frequency of animal matter in their diet. Their only relevant predator is the wolf, which mainly hunts the younger specimens. The common rabbit (Oryctolagus cuniculus) is heterogeneously distributed over the Sierra de la Culebra, showing discreet densities in certain places. The species is autochthonous to the Iberian Peninsula, and it is divided into two subspecies. It also lives in Western Europe and Northeast Africa. It is a Lagomorph belonging to the Leporidae family, which also includes the hare. The common rabbit is characterised by its digging behaviour. Mosaic landscapes are its optimal habitat, dominated by scrubland dotted with small pastures with nearby water points. In the warren lives a community of polygamous rabbits, with a complex yet strict hierarchy, both among bucks and does. They usually mark their territory with olfactory signs, as well as with … and superficial scratches. 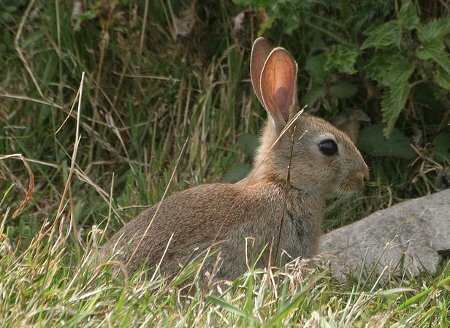 The hunting tactics the wolf usually employ for rabbits are very organised. Some specimens act as beaters in order to make them come up, while others remain close to the warrens, capturing the rabbits as they flee to safer places.